Intermediate states of reactions are conveniently studied in molecular dynamics simulations by suppressing motion along the reaction coordinate. We introduced the exact relation between the constraint force and the free energy profile. While the remaining internal coordinates are clearly irrelevant, we were the first to show that they are not required in the calculation either. 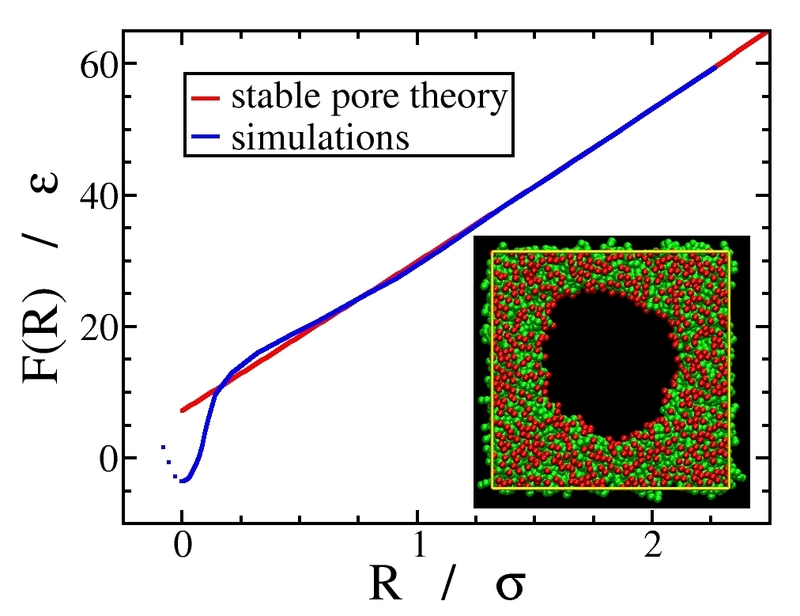 As an example, these methods enabled us to determine the free energy profile of pore formation in lipid membranes, by introducing a novel reaction coordinate based on the local particle density.